It is such a beautiful sunrise today. We have been enjoying sunny warm days with highs in the 50’s and 60’s. It’s been wonderful being able to go for long walks and being outside, but there is a change coming….. 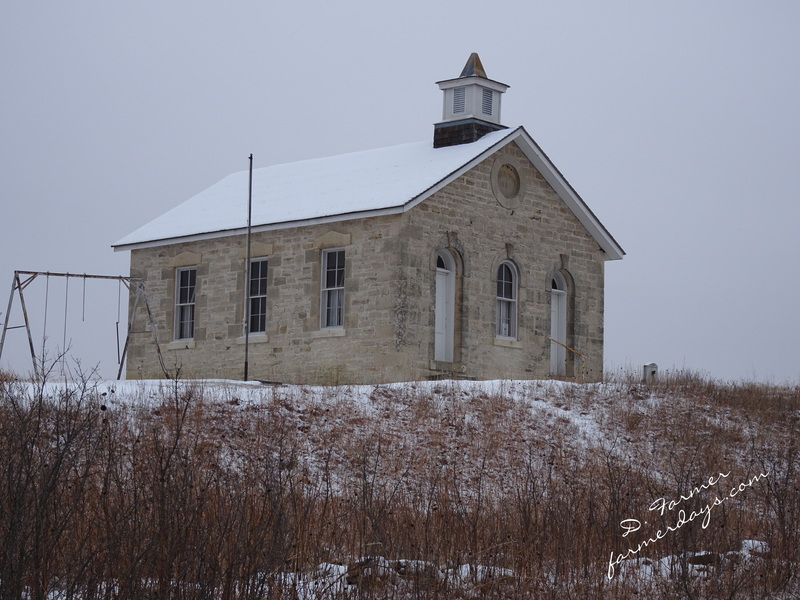 This entry was posted in Daily Happenings on January 30, 2016 by Debra Farmer. Herrington City Lake on a cold snowy day. I saw a couple of eagles, but couldn’t get a good picture of them. I liked the old bicycle by the door. 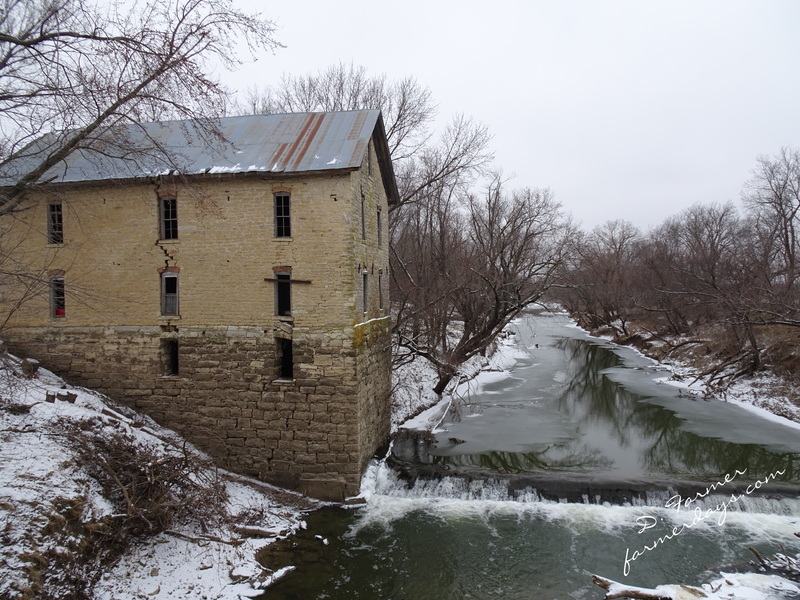 Drinkwater & Schriver Mill This mill has been purchased and is currently being renovated. Another Lark Inn property in Cottonwood Falls. 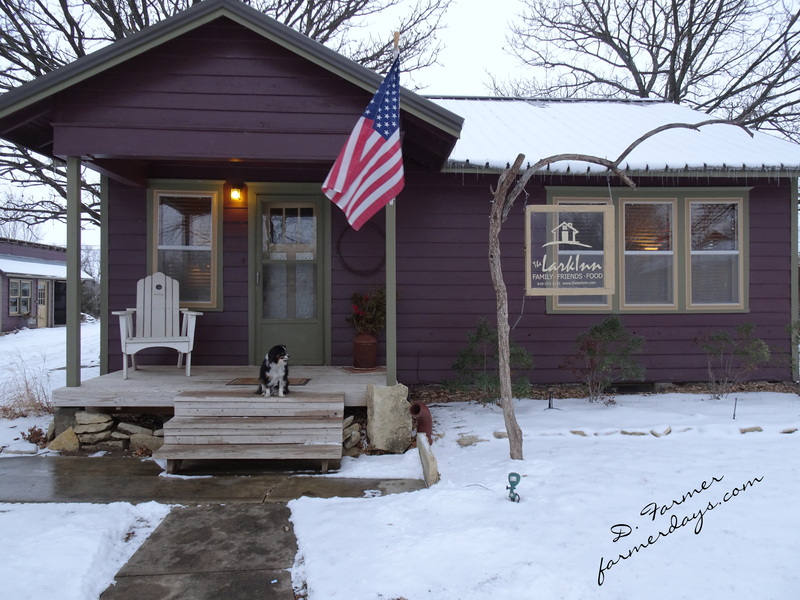 This is Fox Hollow, as with all their properties, a wonderful place to stay!! Comfortable 2 bedroom cottage, within walking distance to downtown Cottonwood. We ate at Ad Astra Food and Drink, and also at the Grand Central Hotel, so good!! 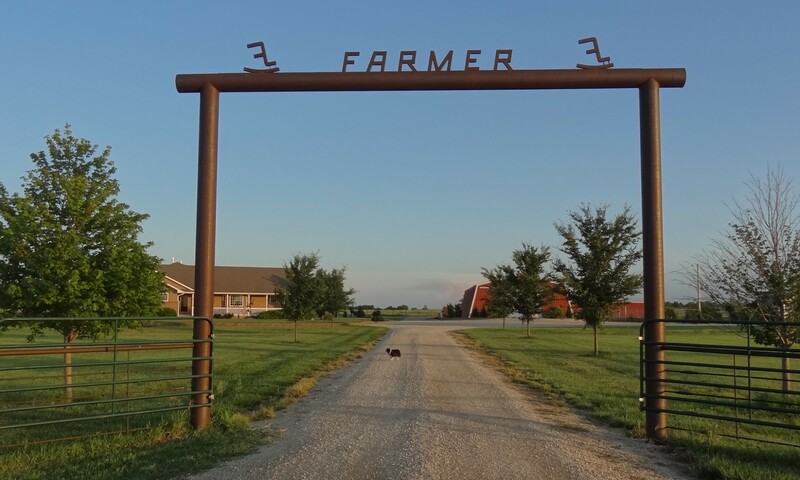 A trip to this area wouldn’t be complete without a stop at Tallgrass Prairie National Preserve. 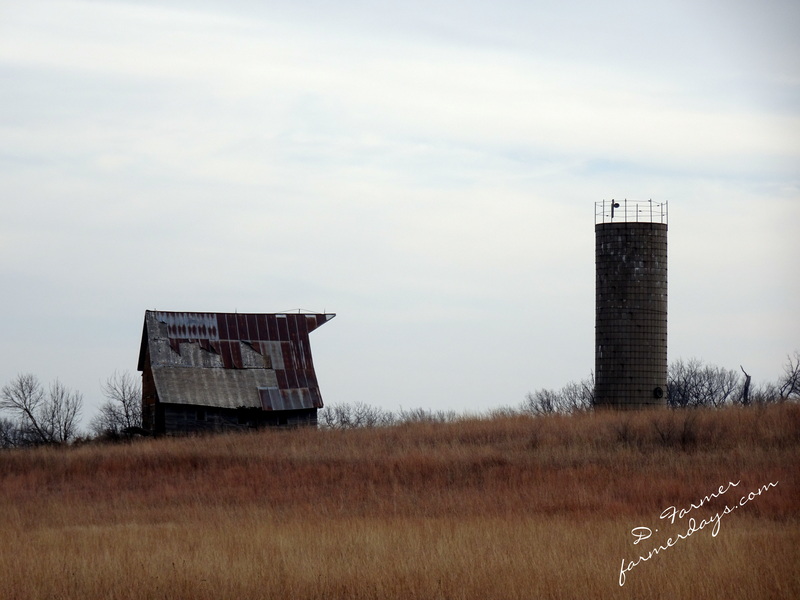 This entry was posted in Day Trips and tagged Barns, Flint Hills, Ghost Towns, rivers, Schools, small towns, waterfalls, Wylie on January 28, 2016 by Debra Farmer. Howard, Kansas is the county seat of Elk County. 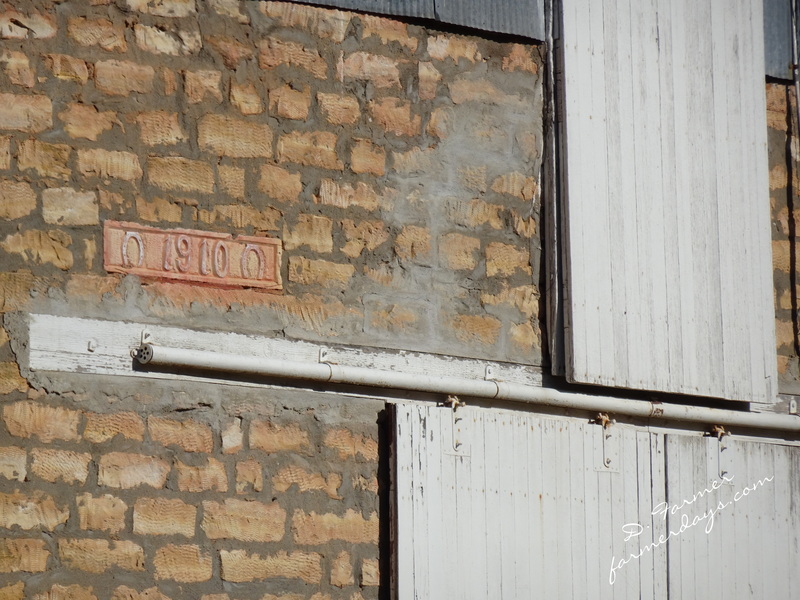 Founded in 1870, Howard is named after Oliver Howard who was a Civil War General of the Union Army. Current population is approximately 700. I didn’t open an account here, but what a beautiful building! 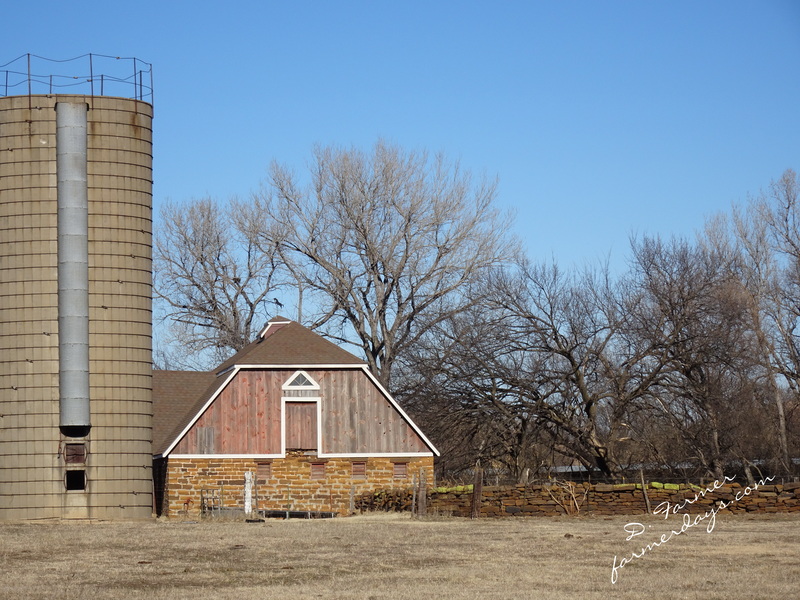 Kansas has so many beautiful barns. This one is just north of Howard. 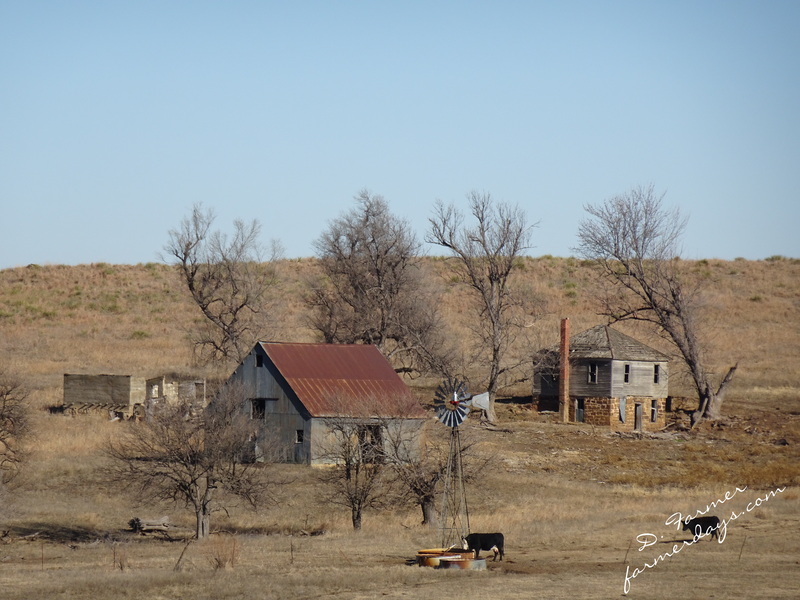 This entry was posted in Daily Happenings, Day Trips and tagged Barns, Ghost Towns, Kansas on January 19, 2016 by Debra Farmer. We started out the morning with a COLD 4 degrees. Coldest morning we’ve had this winter. When the days are this cold, Mr. Farmer stays pretty close to the fire and is able to get the projects done in the house. He is replacing a regular outlet with a USB receptacle. We bought these at Lowe’s. The one he put in the kitchen is a 20 amp. (Not that I know the difference, just repeating what I heard.) The 15 amp will be placed somewhere else. Why does Wylie have his own iPad? …….that’s a post for another day. 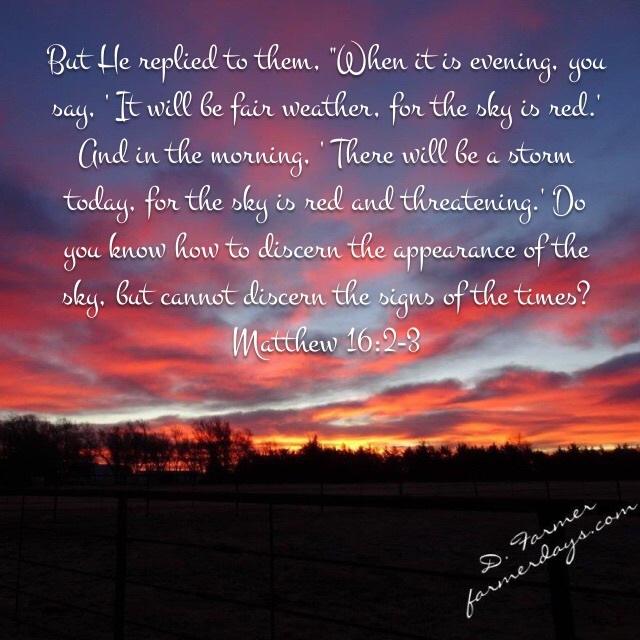 This entry was posted in Daily Happenings on January 10, 2016 by Debra Farmer. I had my day all planned out, and none of what I had planned worked out. 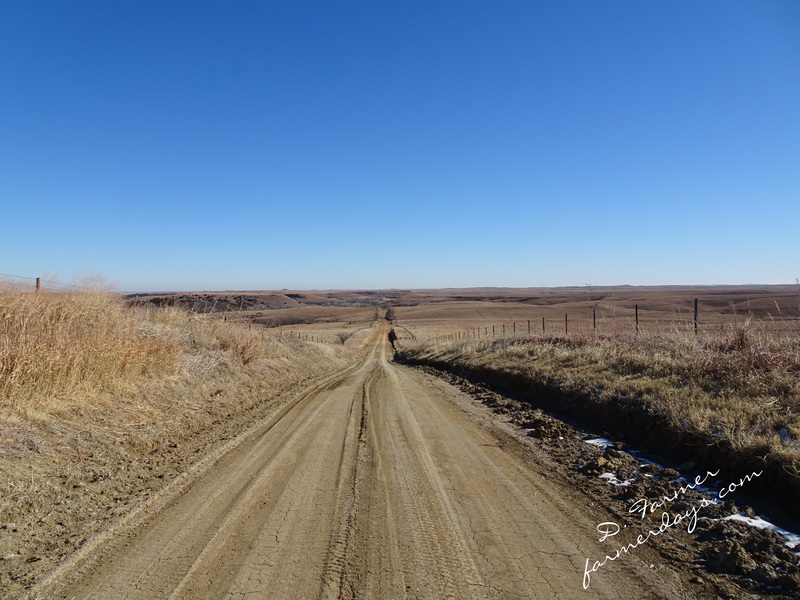 It is a cool, breezy overcast day and the place I was wanting to go in the Flint Hills would be better photographed on a clear day. Wylie and I loaded up and took the back roads over to Maxwell Wildlife Refuge near Canton, Kansas. Here’s what we saw today. 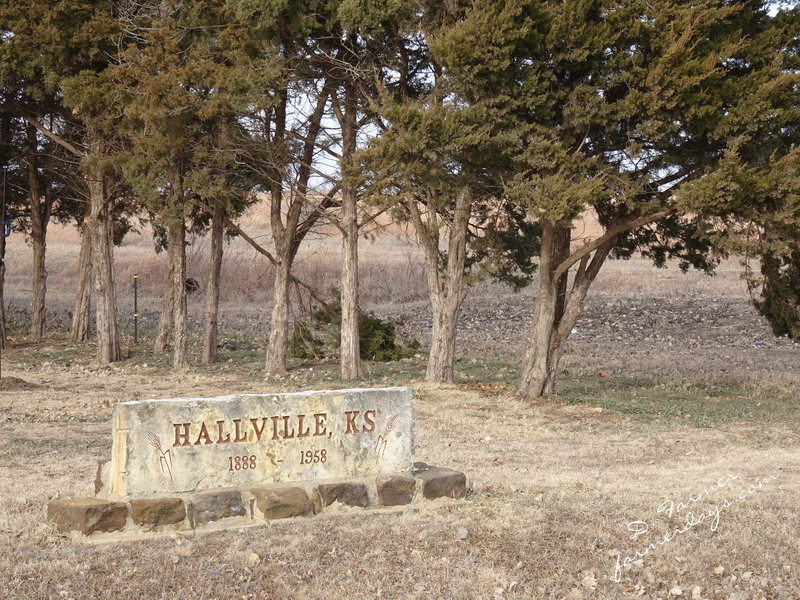 I didn’t find any information on Hallville, KS. There is one home currently occupied, I could find no other remains of any buildings. It was along an abandoned train track. 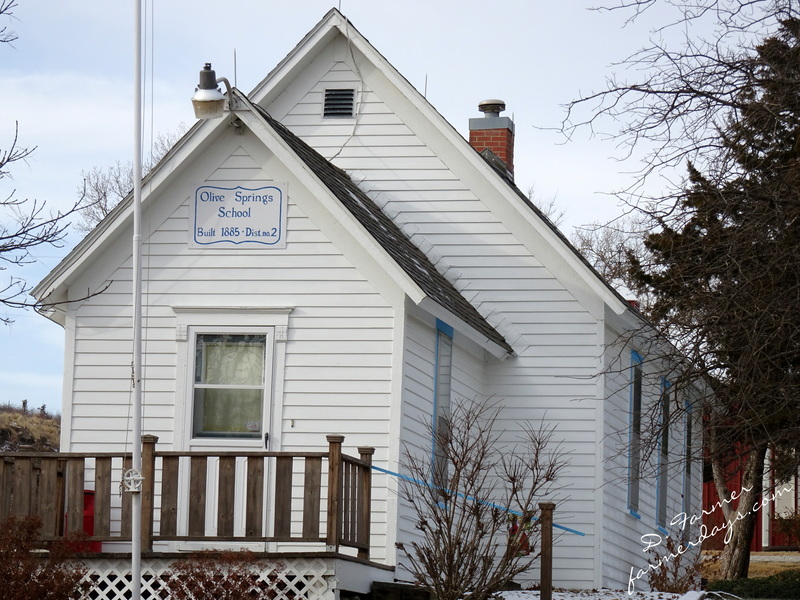 Olive Springs School was built in 1885 and was used as a school until 1947. It is now an art gallery displaying the painting and prints of a local artist, Maleta Forsberg. 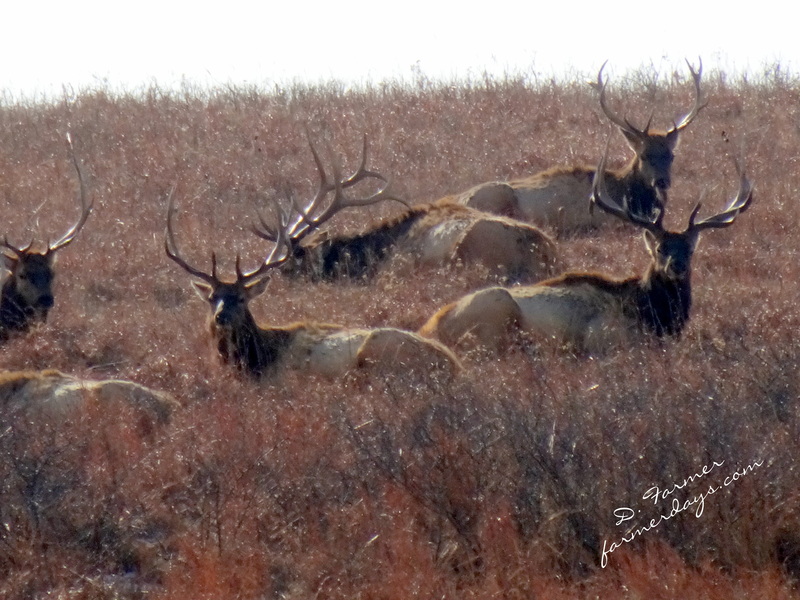 Maxwell Wildlife Refuge is home to 200 head of bison and 50 elk. 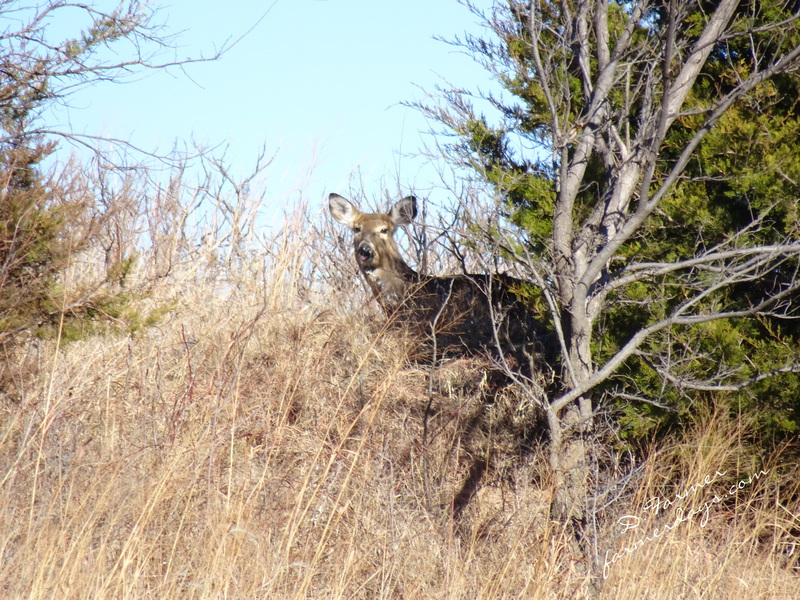 They roam free on the 2800 acre natural prairie. 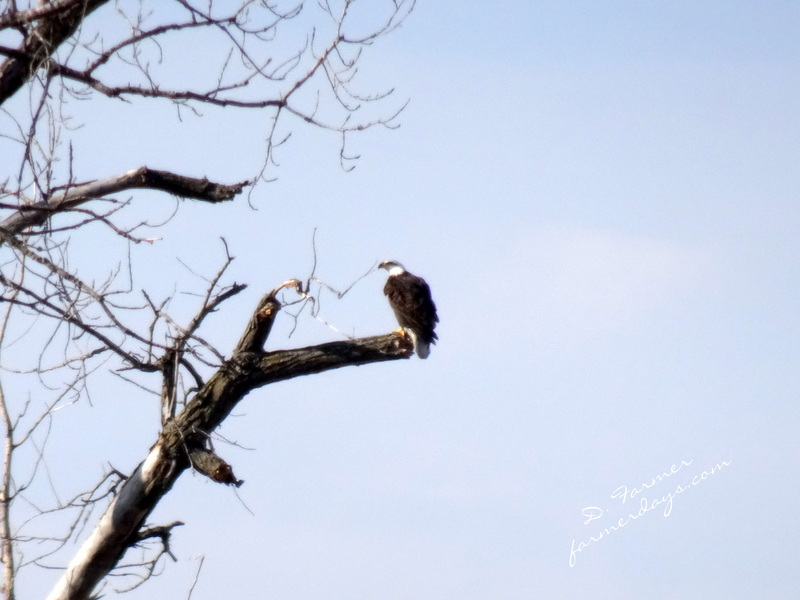 Just west of the Refuge is McPherson State fishing lake, where we saw this lone eagle. 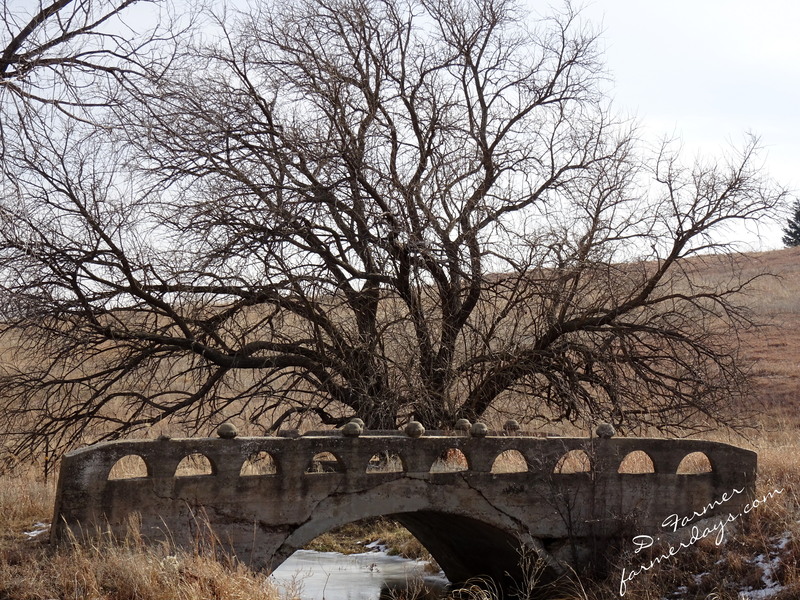 This entry was posted in Day Trips and tagged abandoned Farms, Birds, bridges, Buffalo, ELK, Kansas on January 5, 2016 by Debra Farmer. It was so beautiful that I just had to get out! 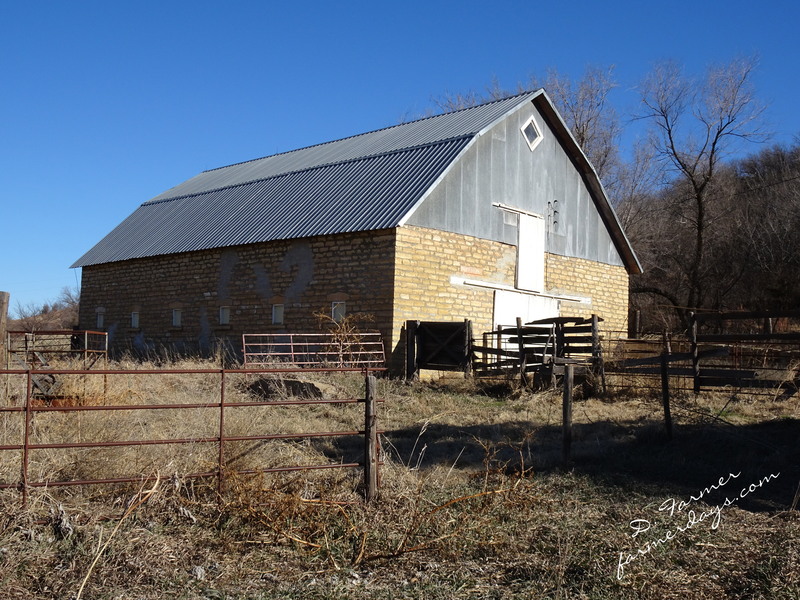 Just a few minutes from home there is this old sandstone homestead. 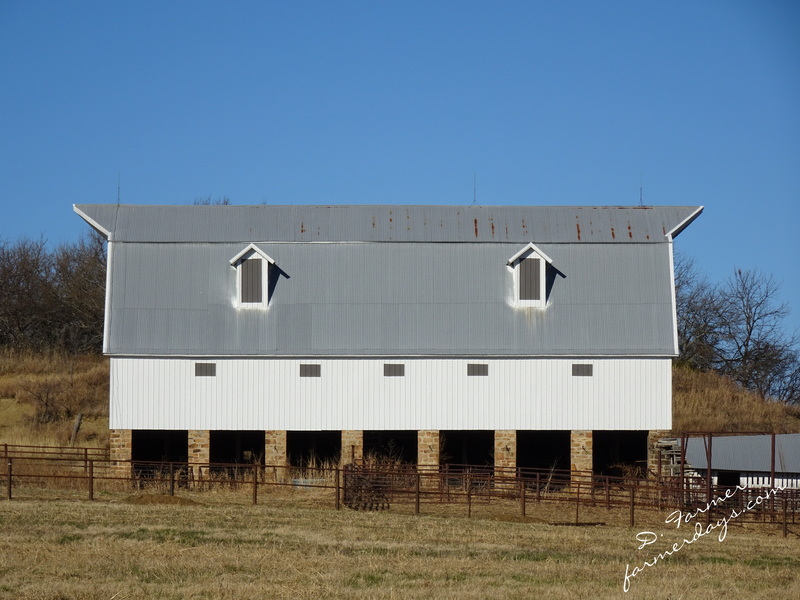 It sits in a great location, out in the middle of a pasture with sandstone bluffs to the south. What a beautiful place to live and raise a family. You never know who is watching you! 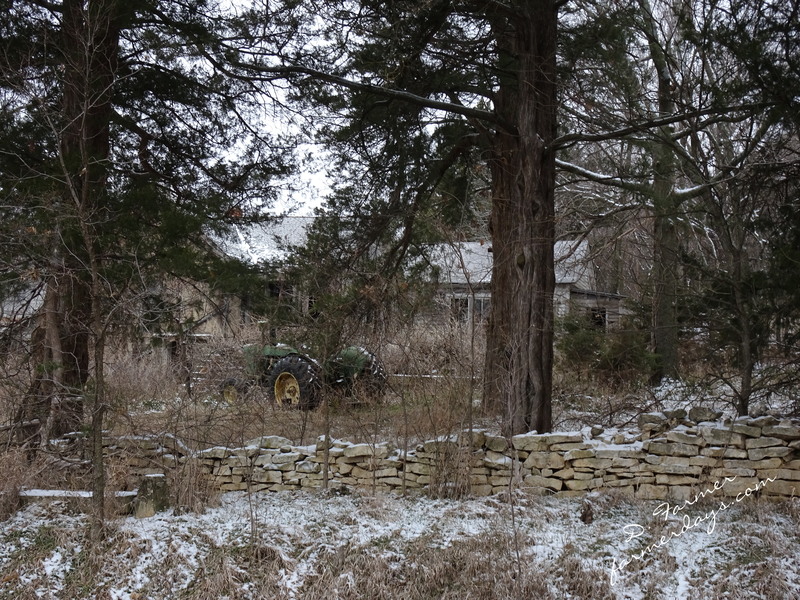 Another abandoned homestead, they have cleared the trees from around this home. Maybe someone will fix it up. 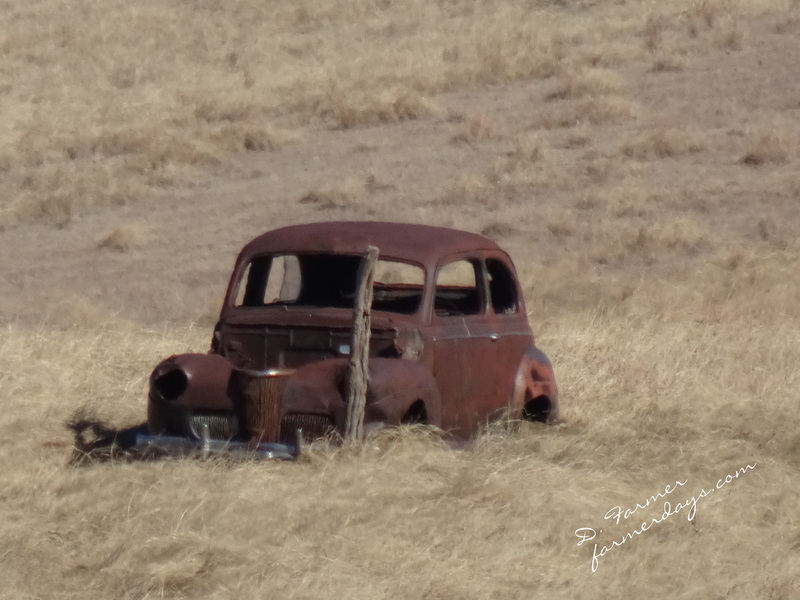 This entry was posted in Day Trips and tagged abandoned Farms, Barns, Country Roads, Kansas, Pastures on January 3, 2016 by Debra Farmer. 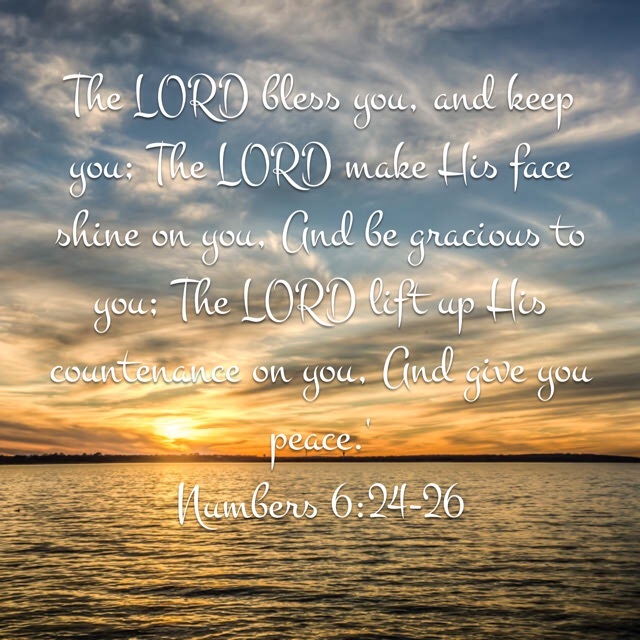 This entry was posted in Daily Happenings and tagged PRAYERS on January 2, 2016 by Debra Farmer.